Discover the beauty and rich history of the land of the Pharaohs. Sail the Nile aboard a comfortable River Cruise and visit Egypt's famous antiquities along the Nile such as the Valley of Kings, Luxor and Karnak Temples and Abu Simbel. In Cairo, you visit the Grand Pyramids of Cairo and the Sphinx as well as the Egyptian Museum. End your journey by Spending two nights relaxing in Hurghada, Egypt's famous Red Seaside. Our packages involve small groups with guaranteed departures and include flights, accommodations, most meals, guided sightseeing, all transfers, entrance fees (except Mummy Room Egyptian Museum) and all taxes there are no hidden costs. The 7-night Nile Cruise includes offshore excursions, all meals and Cruise drinks package. This Price is valid for Weekly Tuesday departures through 2019 and 2020. Prices are higher for departures during Christmas/New Year, Easter, and Summer Departures (May 7 to September 8). Prices are per person based on double occupancy, Single Supplement USD 899. Upon landing in Egypt, purchase your visa by filling out an application form provided at the airport and submit it with the applicable fee. Fees are paid in USD cash. Meet our Representative who will assist you with transfer to your Cairo Hotel. This morning join your Guide for a visit to the Grand Pyramids of Cairo and The Cairo Museum. The Grand Pyramids and The famous Sphinx in Cairo: One of the last still standing wonders of the Ancient World. Take your picture while riding a camel. The Cairo Egyptian Museum of Antiquities: Dating back to 1902 this fascinating Museum contains the most extensive collection of Pharaonic antiquities recovered from the Royal Tombs and Pyramids. The highlights are the treasures of Tutankhamen and a Mummy room that displays Royal Mummies. (Mummy room at an extra fee approximately USD 20 paid locally). Upon arrival in Luxor, our Representative will transfer you to the Cruise Port. 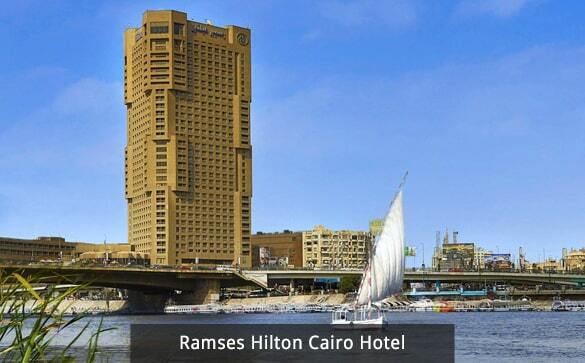 Board your Nile River Cruise, MS Semiramis. The Ship has sixty-six cabins with private bathroom and large panoramic windows. All meals and local drinks are included onboard the cruise. Daily offshore excursions included. A Licensed Egyptologist guides excursions. Activities included today: Guided visits to the Grand Pyramids of Cairo and The Egyptian Museum. 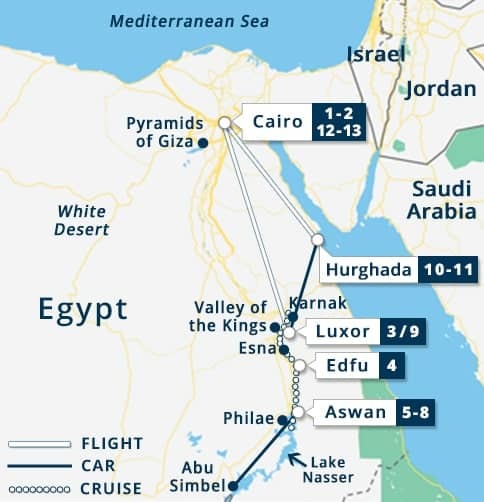 Travel by flight to Luxor to board your Nile River Cruise. Karnak Temple: Located on the East bank is the most extensive temple complex in Egypt. Built over a period of 1300 years to honor the god Amun of Thebes. Meals included today: Breakfast, Lunch, and Dinner. All meals on board. Early morning Stop in Edfu. Later visit Edfu Temple. Temple of Edfu, Built in the Greco Roman Era is the most well preserved and complete Egyptian temple, built to honor Horus, the falcon-headed god. Activities included today: Visit Edfu Temple. Early morning departure with a boxed breakfast to visit Abu Simbel. Abu Simbel: One of the most well-known sites in Egypt after the Pyramids of Giza and the Sphinx. An inspiring Temple on the shores of Lake Nasser. Return to the Ship in time for lunch. Meals included today: Boxed Breakfast, Lunch, and Dinner. Lunch and Dinner onboard. Activities included today: Visit Abu Simbel. Traditional Felucca Sail Ride. Join your Guide for visits to the High Dam, The Unfinished Obelisk, and Philae Temple. - The High Dam: Bordering Egypt and Sudan, is the world's largest dam. - The Unfinished Obelisk: Most of the red granite used to built Egypt's Temples came from the quarries in Aswan. Here lies the Unfinished Obelisk still attached to the bedrock. 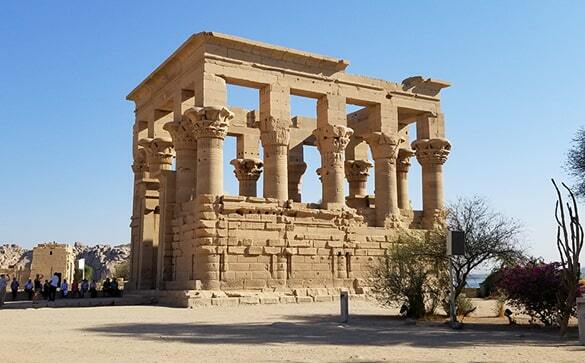 - Temple of Philae: On the island of Agilkia, this beautiful temple dates back to 380 BC. erected to honor the goddess Isis. Temple of Kom Ombo. This Temple overlooks the Nile, and it was built to honor the crocodile and Falcon Gods. Activities included today: Guided visits to The High Dam, Unfinished Obelisk, and Temple of Philae. Activities included today: Free day. Enjoy guided visits to The Valley of the Kings, Queen Hatshepsut Temple and The Colossi of Memnon. Activities included today: Guided Tour West Bank: Valley of the Kings, Queen Hatshepsut Temple, and The Colossi of Memnon. 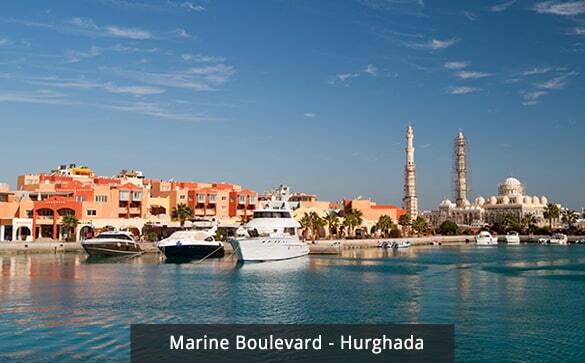 Depart by road to Hurghada, the second biggest Town in the Red Sea where the old and new coexist together. Wander through the narrow streets of the Town's bazaar or head out to the Marine Boulevard where you find trendy shops and restaurants. 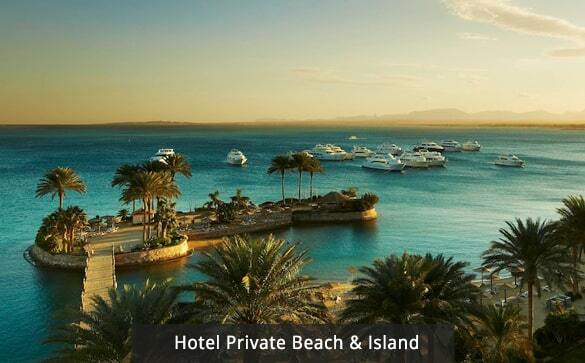 Accommodation: Hurghada Marriott Beach Resort. Activities included today: Disembark Nile Cruise. Travel by road to Hurghada. Hurghada is a well-developed resort area with many leisure activities to offer from fantastic beaches to captivating Deserts. You could add short trips to your itinerary such as Giftun Island, Mahmya Beach, Quad deserts tours, and snorkeling/Diving Tours. Most tours are booked and paid locally. Giftun Island Day Excursion: Enjoy the pristine beaches of this beautiful island perfect for snorkeling and swimming is one of the most famous spots in the Red Sea. Excursion Includes lunch, transfers, entrance to the Island and snorkeling equipment. Transfer to the airport for your Flight to Cairo. Upon arrival, our Representative will assist you with transfer to your Hotel. Activities included today: Flight Hurghada - Cairo. International airfare, we offer departures from most major cities in the USA and Canada. Domestic Flight Transfers Cairo - Luxor & Hurghada - Cairo. 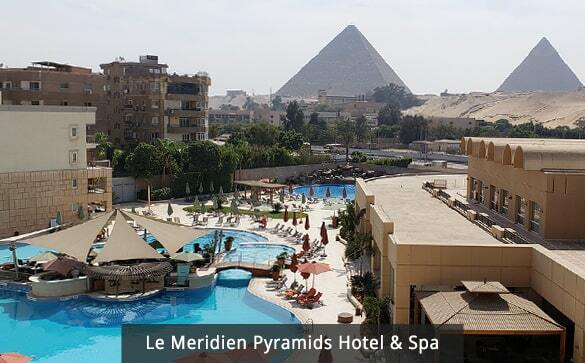 Two nights of accommodation at Le Meridien Pyramids Hotel, Ramses Hilton Hotel, or Similar. 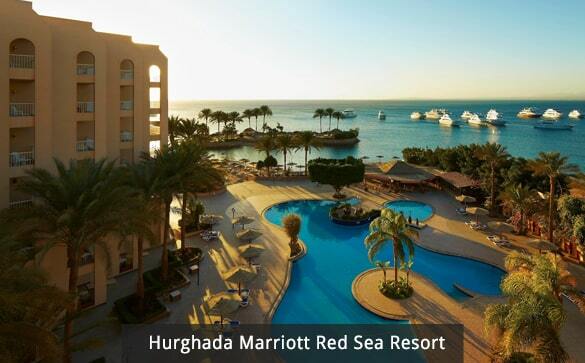 Two nights of accommodation at Hurghada Marriott Beach Resort. 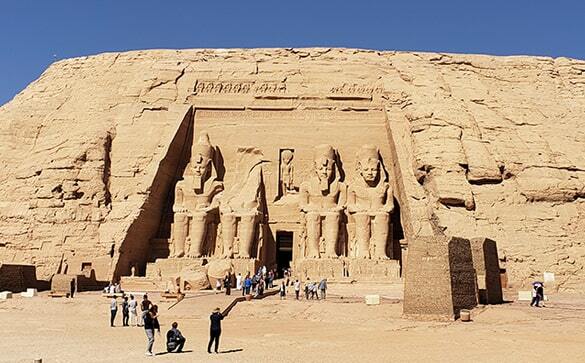 Excursion by Road to visit the Temple of Abu Simbel. An English speaking Licensed Egyptologist provides all sightseeing tours. Breakfast and Dinner daily during your stay in Hurghada. Free Drinks Package aboard your Nile Cruise. Includes Bottled water served by the glass, Coffee/Tea, Local Wine, Local Beer, and Soft Drinks (No juices). Served by the Glass between 11:00 am till 22:00 pm. Transfers Airport - Cruise Port - Airport. Road Transfer Luxor - Hurghada. All entrance fees (except Mummy Room at Egyptian Museum).